GEL Engineering is your trusted partner that provides a full range of environmental consulting services. Whether you need a full Remedial Investigation/Feasibility Study (RI/FS) and treatability study for an RCRA site or need to address an industrial or commercial release highway median spill, GEL Engineering is the partner you need. With our comprehensive soil and groundwater investigation and remediation services, we can help you address almost any environmental concern — as we have for other clients for more than 30 years. Our client relationships span many years because we consistently deliver dependable solutions to environmentally complex issues. 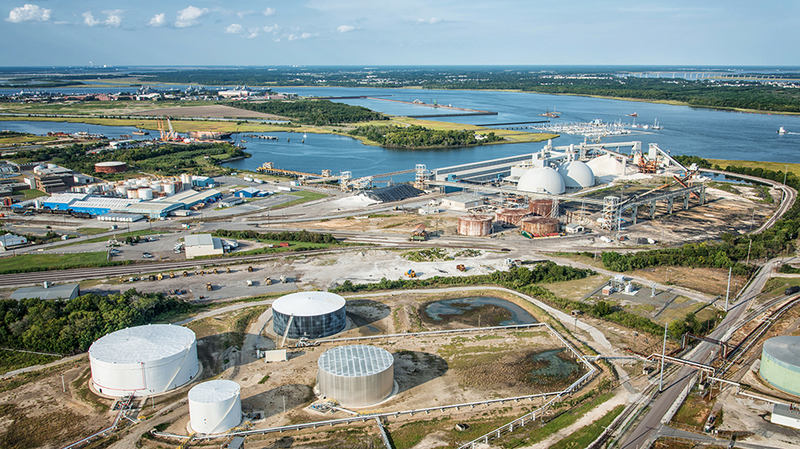 GEL Engineering was the first consulting firm to receive approval in South Carolina for monitored natural attenuation (MNA) at an RCRA facility, and our soil and groundwater investigation and remediation services have been used at brownfields, CERCLA, RCRA, SUPERB, and other sites. That’s why we work with so many clients under on-call or indefinite delivery contracts. 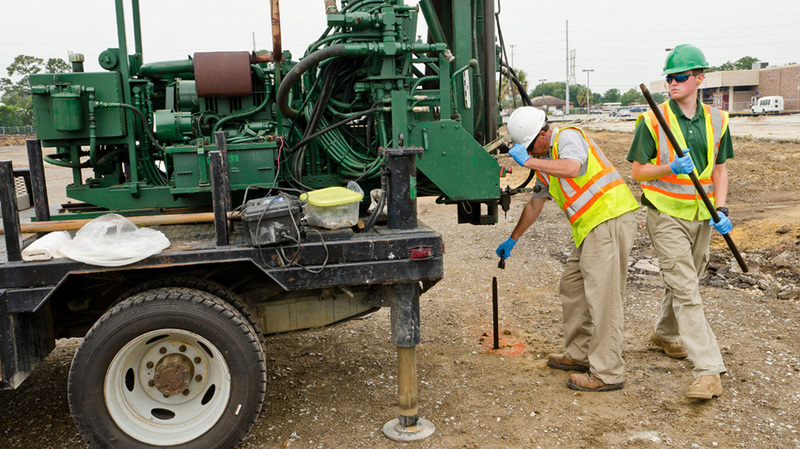 After site assessment, GEL Engineering can evaluate the most cost effective soil and groundwater cleanup for your site conditions, install the system and operate and maintain the system until site closure. GEL Engineering can provide rapid response to most of your emergency environmental needs from spills to industrial hygiene issues. Three offices allow for rapid response from a nearby office with the staff level to support the effort. Experts proficient in the latest predictive computer modeling software such as Modflow use predictive modeling to model the fate and transport of contamination in soil and groundwater. GEL Engineering can assist with permitting efforts related to new or expanded landfill projects, drawing upon our extensive agency contacts and reputation. We can also provide groundwater monitoring, closure and post-closure care plans, sampling and analysis plans, etc. GEL Engineering deploys dedicated field crews trained in the latest EPA SOPs for groundwater sampling, analysis and reporting for landfills, contaminated sites, RCRA sites, and CERCLA (Superfund) Sites. Constructing over contaminated areas can lead to contaminated vapors entering the building. GEL Engineering conducts state of the art soil gas surveys to evaluate risks and provide solutions. GEL Engineering has the equipment to safely remove free phase petroleum products from the groundwater table after a significant release, containerize it and manifest it for proper disposal. The GEL Engineering team offers a wide range of geologic knowledge and services, on both dry land and wetland and coastal zone environments. Most underground storage tanks have leaked. GEL Engineering has assessed and remediated hundreds of UST releases. The following list includes the steps in the regulatory process for USTs. After conducting each step, the site is either closed out or moves on to additional assessment phases. For more than 30 years, GEL Engineering has assessed, remediated and helped close petroleum contaminated sites. Site qualification assistance: GEL Engineering helps clients determine if they qualify for the SUPERB program, which allows for the reimbursement of some of a client’s assessment costs. Initial groundwater assessment: The first step in the UST assessment process that consists of one well and the collection of a soil and groundwater assessment. Remediation evaluation/feasibility studies: This phase consists of selecting the remedial technology for site cleanup. Site closure: This is the completion of the process in which the client receives a No Further Action Letter or Conditional No Further Action Letter. Site-specific solutions. We take a customized approach to every project. We incorporate the best practices we have developed over three decades, so you benefit from our team’s collective expertise and industry-wide perspective. But the solution we create for you will be customized — as simple or complex as the situation demands. Cutting-edge thinking, practical application. GEL Engineering’s exceptional staff is at the forefront of sustainable remediation—but we live in the real world. Creative solutions have to be cost effective and workable, and our scientists, field technicians and engineers are innovators with practical business savvy. That means we have your market and your business goals in mind every step of the way. Fewer delays, lower costs. We add value to your projects in many ways: our ability to use GEL Laboratory means we can deliver trustworthy data within tight timelines; our long-standing relationships with regulatory agencies allow us to expedite approvals and save our clients time and money; and our experience managing complex projects for a variety of clients means our processes are tried and tested. A breadth of environmental solutions. Through The GEL Group, we have access to GEL Laboratories, GEL Geophysics, and Cape Fear Analytical to provide a comprehensive range of consulting and analytical services. The benefit to you is a one-stop shop and an integrated team working together on your behalf. Contact us to learn more about our soil and groundwater investigation and remediation services.